A plastic surgeon I worked with asked me: "Why is it that when we plastic surgeons​​ have a lot to do on a patient, we anesthetize them and do everything in one operation while you dentists drag out treatment month after month?" While that may not be an accurate statement, it is a fair question. The answer is most everything can be done in one session if planned out properly. Let's see what "planned out properly" means. At the introductory visit, my patient and I have to go over ​their medical and dental history, I have to examine their mouths and x-rays, and often take photos and casts for study and illustration. That having been done, my patient and I go over what they'd like the post treatment situation to be and I have to see if and how it can be done. We, in fact, go over all the possible options, the advantages and disadvantages of each and the estimated costs. In short, I give them the knowledge to make a decision based on my many years of experience and professional expertise. The patient and myself, having made the decision as to the kind of treatment we're to do have only to consider one more factor- is there any preliminary treatment that has to be done first? For example: if there's any gum problem, root canal problem or oral surgery to be done, I suggest that it be taken care first and a healing period be observed. So, when we start our "virtual dental makeover" everything's ready to go. We put aside a particular day, or in the case of a special patients needs, a Saturday or a Sunday and we do all the necessary work. Temporary restorations are placed so everything looks like the finished product, and the patient returns to normal activities without missing a beat. 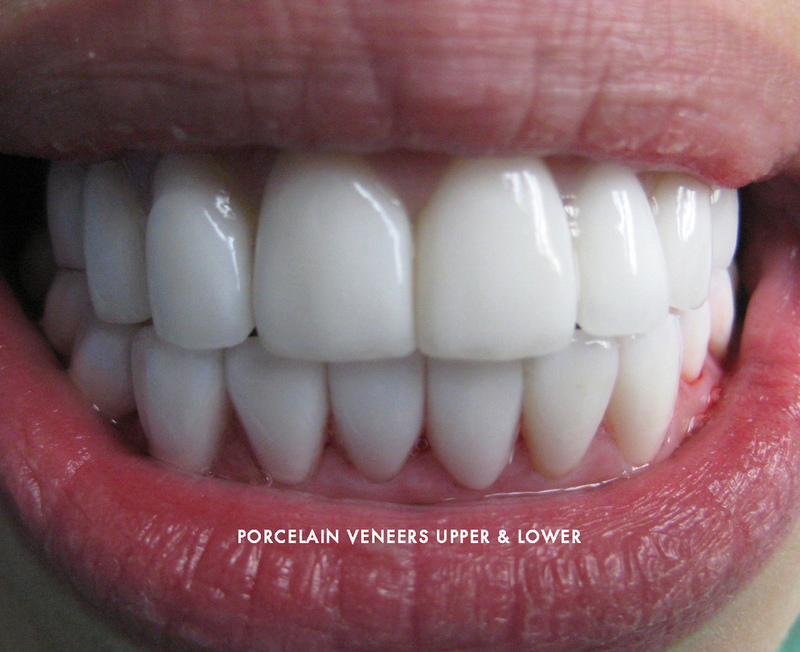 There's no discomfort or pain during or after treatment and everything looks great. Meanwhile the final case is being made up in the laboratory with the aid of the original photos, models and impressions of the prepared teeth. A week to ten days after this virtual makeover the final restorations are bonded into place and we're completed expect for checkups and cleaning twice a year. 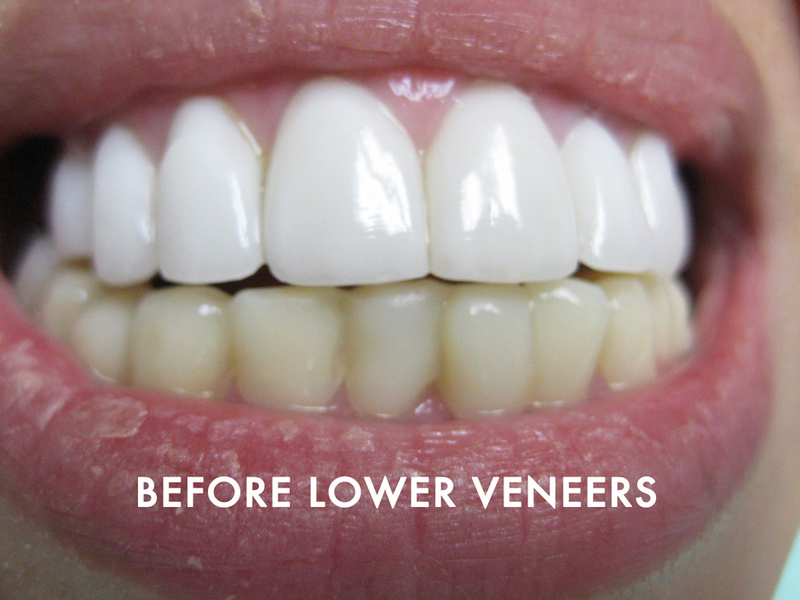 See a photo of laminate veneers done in one visit on the lower arch.Patients before & after.